HubSpot Sales Hub gives you a full suite of tools to boost your productivity, shorten deal cycles, and make your sales process more human-friendly — without adding to your workload. "HubSpot Sales is a wonderful tool to make yours sales job eaiser"
We have been using HubSpot sales for years and the system is always getting better and better. Every time I think the HubSpot is done they show off by adding something to make sales easier. The newest feature that I am LOVING is the creation of quotes in the deal section. This is super easy and a quick way to get a quote out to a hot lead. It includes everything from the date is was created, how long the quote is good for, to even having the option of having someone sign off on it. I honestly don't know if there are anything about HubSpot sales that I don't like. Well, when they make an update it can through me off a little because something looks different but really, is that a bad thing? I don't think so. I strongly recommend that you look at HubSpot and do a comparison with the other sales platforms out there. What really sets HubSpot apart from their competitors is the provide free support, they system is accessible from any device with internet (no hardware needed) and they are always adding more to improve your experience with the program. HubSpot sales helps me keep track of my sales as well as the rest of my team. I can see what is in the pipeline, how close we are to reaching our goals and even how productive we have been. This is a great program that provides vital information in a very user friendly way. I have been using hubspot for past 1.5 Years, It's been a good experience till now. We have took Hubspot Sales subscription for our Business Development Team. We majorly use it for mail tracking and following up with clients. It has features which are very helpful to work it out to make closures and deals. It gives notifications which doesn't happen, so if you send an email to the team and couple of people are cced then you'll receive notification for someone has opened the email rather telling the name of the person. So it gets little confusing if we cc official employees and send it to client. Benefits would be making followup easier for us. As we mail 100 email per week (proposals). So it helps in making another following up email easier. HubSpot enables you to track engagement in your sales activities and automate proper follow ups and score when intervention is needed. I dislike how information is centred around contacts when sometimes you want to have it centred around companies. Also the life cycle management can be odd when you are not following the full stage path as defined (by you). So for example when you instantly create a new contact and create a new deal on this newly created contact the life cycle stage changes but it does not show correct conversion rates as you missed out on some previous life cycle stages. Be aware that this sales system is very much contacts driven and please discuss your internal processes when multiple teams of multiple disciplines are using HubSpot regarding contact/company ownership and who is responsible for the quality of the entered contact data. We needed to track and follow up on our sales engagements. The benefits of using HubSpot in our sales engagement meant we are spending time on the right leads and deals. Thank you for taking the time to write this review! We really appreciate your detailed feedback! I'm glad to hear that the sales tools have been so helpful in tracking your engagement and automating your sales process. As far as room for improvement - I think you have some really valuable insights that I would like to dive in deeper and examine. When you say that certain information is centered around contacts that should be centered around companies would you mind pointing me to a couple examples of such contact properties? In addition, might it be valuable if there was a way to change a contact property into a company property? There are some workarounds for this I would be happy to share with you but they do not necessarily work for every property. As far as your comment about life cycle management and that example you provided (thank you by the way!) I think what is happening here is that you are using a funnel report to track your contacts but many of your contacts are not necessarily proceeding through every step of your funnel in order. This means that they are left out of the calculations of conversion rates. I would suggest that you use the lifecycle pipeline instead of the funnel to remedy this situation but I see that you already have this on your dashboard within your portal. This will be your best gauge of how people are moving through your funnel if your contacts are not typically moving through the 'prescribed' stages of your funnel. Let me know if you have any questions at reviews@hubspot.com, we'd love to hear from you! Thank you again for the nice review Fabrice. "Hubspot keeps proving me wrong. They are the best solution"
Smooth interface makes working in it on a daily basis a real joy. Didn't really like the cotton candy color choice but I have to say it grows on you and the responsiveness and UI choices just work. Seems a couple years ahead of similar interfaces that feel more cluttered. It's like working on a Mac instead of Windows. Hubspot just works. The reporting with it's tracking during the month compared to your personal quota's the automated emailing of these dashboards. It all seems just a little bit too simple but once you start using it you see why choices were made and the low barrier/friction ensures you actually look at it and work the numbers instead of working the reports to show stuff you don't need to see. Can't recommend Hubspot highly enough. The focus on inbound leads and lack of outbound leads/sales workflow without getting the absolut highest tier to enable workflow automation. Besides that let's talk costs because even for the sales starter I'm paying factor 2 what I used to pay Pipedrive from almost similar functionality. If it weren't for the sequences I would switch back to Pipedrive for cost reasons alone. Try it. Reports and screens just work. As does gmail integration. I like how I can create a task on a daily basis and have me notified when it is time to work on that specific task. I also like how I am being notified whenever my clients open the emails I sent to them. It helps me be connected and updated to them in a timely manner and attend to their concerns immediately. HubSpot Sales helps me to be organize at work and makes me effective in doing my job. The thing I dislike about HubSpot Sales is when it is down, it does not allow me to use the search tab to search for my leads and continue my tasks. I am recommending HubSpot Sales if you want to make your life easier in terms of making reports, contacting customers, advertising your line of products, or if you just simply make your product known by people. It's the best tool I have ever used so far! Good job! HubSpot Sales helps me creating or accomplishing daily phone calls and emails in terms of contacting my clients and continue to be an effective employee in my industry, Marketing and Advertising as we were able to track how many email have we sent and how many email have been responded by clients. HubSpot Sales also helps me to be efficient in doing reports and for a more accurate presentation to my bosses and colleagues. "This brought our tech company's internal process to 2018 standard." Before we used systems that just were not able to compete, and not for lack of trying. We pumped thousands into multiple software applications who promised they could meet and exceed our needs. Their "features" were definitely lacking, and behaved as though common sense was not involved in the making of them. We ended up SAVING money on an only-very-slightly-more-expensive product, which replaced 3 products, that does more than we even intended. I say this all the time, "I'm sorry our new Lamborghini cannot fly." Meaning we upgraded to the best model of CRM, Marketing, and Sales services, we were using a Fred Flintstone car ahead of this and when a member of my sales team finds a very small thing he Wishes might happen (not that it could be a possibility with Any platform), I double check that I can't bridge the gap and then follow with, "I'm sorry our new Lamborghini cannot fly." Make the switch. Even if you do not currently use a CRM and you work from your home office. They provide their CRM for free. I was using the free CRM for my job before our company switched and my profiles integrated. I wish I could click the button for you, but I'm sure you will find many other reviews like mine. Do it. Before we had No visibility into lost customers, where they went and why. We had almost No visibility into email marketing campaigns. We had NO sales CRM. We had a homegrown makeshift CAPA case resolution system. We had no metrics on our lead conversions. ALL of these have been resolved, and will continue to increase the ROI for us the more data we pump into the system. I like the fact that we have a common dashboard so we can have an overview on what the other members of the sales team are doing. The thing I would like to be able to do, as a Customer Success Manager, is creating recurring deals on the pipes, so I don't have to recreate a identical deal each month. As well, that would be nice to be able to duplicate a deal (copy and paste). It is a very nice tool - You don't need a big knowledge / experience about Sales tools. It is really easy to understand and to use. I highly recommend this tool even if some new features would be great to have. For example, one thing I would like to be able to do, as a Customer Success Manager, is creating recurring deals on the pipes, so I don't have to recreate a identical deal each month. As well the support team is really nice, and you do many different activities from just one environment, which is nice. Thanks to this tool, we have a clear overview of the sales pipes, thanks to the dashboard. Visually, it is really well done. You can realise very quickly how far you are from your target and at what stage yours deals are. Thank you for taking the time to write this review - I'm glad to hear that the sales dashboard has been helpful for you and your team! As far as room for improvement - I think you have noted two great points. I took a look at our ideas forum and saw that both of these topics have been posted about in the past. I'll write the links for the two posts below and I would highly suggest you give them each an upvote as well as comment your particular use case if interested! Thank you again for your review Elisabeth! "Never miss a deal, deadline, or meeting"
The ability to track each customer from initial contact past closing deals has allowed me to optimize my advertising spending. I can easily see what e-mails and calls are working or not working, and I can organize all of the information about each customer and company I work with. The organized data that Hubspot tracks for me is invaluable. I can't see the attachments that are included in e-mails in Hubspot. If I'm tracking my team's work, I can't judge if they have included the proper documents when signing deals. If you are new to email marketing, tracking sales, or just looking for some new insights into developing a sales and marketing team, this is for you. The resources provided by Hubspot make learning a quick and efficient process. TIme is money, as the saying goes, and Hubspot helps you use your time more effectively and spend better time with customers. If you have the resources to spend on this program, you'll have more information about the kind of leads you're developing. If you need to train a team remotely, the learning center is a mini-classroom in a computer. I no longer have to follow the "throw it to the wall and see what sticks" method of gaining new customers and creating repeat business. I can target specific customers and follow a timeline of following up to make sure I never miss a sales opportunity. Thank you for taking the time to write this review - we really appreciate your detailed feedback on HubSpot Sales. I'm glad to hear that the organization of your customer/prospect data within HubSpot has been so valuable to your work! As far as your comment about email attachments - I took a peek on the ideas forum and found a very popular post requesting this functionality (at the link below). I would highly suggest that you give this post an upvote, if you have not already, and comment your particular use case. Thank you again for the nice review Kelsi! As an Education Solutions Consultant, I like how HubSpot Sales make my interactions possible in reaching out our customers through phone and email. From its cool interface to its facile functionality, I can say that it's really helpful at work. One thing that I do not like in HubSpot Sales is the intermittent phone connection whenever we have poor internet connection in the office. I don't blame HubSpot Sales solely, whenever my conversation with a customer gets interrupted because of choppy line, as I understand that the cause of it is my company's poor internet connection. HubSpot Sales is awesome in making your everyday work easy and interactive! Work itself is stressful, but with HubSpot Sales, it becomes stress free. From its cool interface to its user friendly functionality, I can say that it's really helpful to achieve your personal goal as an employee, and your team goal in your company. I have used other tools before in my previous work, but this is the first time I commend a tool like this. I am extremely happy with HubSpot Sales! Contacting districts offices or schools through phone and email to introduce our product and eventually build a partnership with them in providing protective solutions to their technology devices like iPad, Chromebooks, and other devices in K-12. I realized that without HubSpot Sales, it will be "bloody" for us to dial contact numbers of our customers using hard/physical phone. "10x less effort, 10x the results"
Email tracking - see when leads open emails, click on links, and how much time they spend inside documents. Hubspot is complicated - LOTS and LOTS of functionality makes it a bit hard to get started. The customer onboarding team sent lots of emails, but I think we would have gotten value from it much faster if we had help from an actual human. Use your customer success representative to help you learn all of the different ways Hubspot can improve your sales process. Be patient and start simple - Hubspot has a LOT of functionality which can be overwhelming, but you can grow into the features over time. Drastically decreasing the sales cycle with efficient communication with leads (email templates, email tracking, storing often-used documents in Hubspot). Easy tracking of leads progressing through our sales pipeline, and leads getting cold. Building hyper-accurate sales forecasts with Hubspot dashboard reports that show the pace of leads moving from Contact Made to Engagement Won. "Using the new Beta and WOW"
The beta version of Hubspot Sales takes CRMs to a new level. The level of interconnectivity and ability to change the very things you need to all in one window is the thing I didn't know I needed. Linking contacts to companies to deals to tasks. A ton of features that are very easy to use right away. Task management for sales is built in and is very helpful for staying on top of call tasks. Easy template creation. A nice overall all-in-one solution. The one thing I dislike which could apply to every single existing CRM is the ability to stay organized. It's better than anything I've used but things can certainly get lost in the shuffle. If you are looking for a affordable and lightweight solution to get off the ground with you sales efforts, then look no further. Cold outbound calling outreach. Great to have the ability to call from straight from the CRM, have email templates in the same place, tracking emails. ""HubSpot Sales is an awesome apparatus to make yours business work eaiser""
We have been utilizing HubSpot deals for quite a long time and the framework is continually showing signs of improvement and better. Each time I think the HubSpot is done they flaunt by adding something to make deals simpler. The most current element that I am LOVING is the formation of statements in the arrangement segment. This is overly simple and a snappy method to get a statement out to a hot lead. It incorporates everything from the date is was made, to what extent the statement is useful for, to having the choice of having somebody approve it. I sincerely don't have the foggiest idea if there are anything about HubSpot deals that I don't care for. All things considered, when they influence an update it to can through me off a little since something appears to be unique however, is that an awful thing? I don't think so. I unequivocally prescribe that you take a gander at HubSpot and complete a correlation with different deals stages out there. What truly sets HubSpot separated from their rivals is the give free help, they framework is open from any gadget with web (no equipment required) and they are continually adding more to improve your involvement with the program. HubSpot deals causes me monitor my deals just as the remainder of my group. I can perceive what is in the pipeline, that we are so near achieving our objectives and even how beneficial we have been. This is an incredible program that gives essential data in a very easy to understand way. "Effective email tracking that provides value immediately. " Hubspot Sales has been a great tool because of how simple it was to set up, and how easily you can monitor, track, and engage with your contacts. With the addition of the Google Chrome extension, you can receive instant notifications when your emails are opened, links are clicked, or meetings are scheduled. This is a limitation that is likely in place for many email tracking tools, but when you send an email to multiple contacts within the same email, you are not able to see the individuals who open your email, just that it has been opened. Hubspot is a great product for growing teams and has solutions for large companies as well. The one thing I would recommend when investigating Hubspot is that they are able to provide the integration that you need with the other products you are currently using. In my role, the transfer of information is critical, so knowing when either a lead or client has interacted with an email or email content allows me to create more fluid interactions and optimize our outreach strategy to ensure that information isn't falling to the wayside. "Hubspot- for sales people... not the best CRM"
The email tracking feature is nice and great to be able to look back at a contact and see your email conversation through the tool. I like that you can work in outlook and have it sync into Hubspot. Also, the feature of seeing if someone opened your email, clicked it, etc. is nice; however, I'm not certain it is always accurate based on the company you send it to and their email security settings. I dislike a lot about Hubspot for a Sales Team- You cannot mass email through the Sales tab, only through Marketing... which means you individually have to email people. Your are unable to select 10 people in a company who you would like to send the same template to. In tracking individual information on a client in an account, the user interface is just terrible. Everything is captured on the whole profile page. There are no individual sections or tabs for notes on meetings, or personal information, tracking call, etc. You are forced to scroll the entire page to find whatever you are looking for; similar to twitter or the new UI of Linkedin. Build a better, more customized sales site that allows you to find individual contact profile notes; create a feature to mass email through hubspot sales that allows you to customize the persons name. "Not up to Snuff "
There is no Salesforce data in my gmail anymore. If you're using salesforce or Gmail, Hubspot sales is NOT for you. I can't see my contact's name or number from the Hubspot extension in gmail. Switching to Hubspot from Yesware was a disappointing choice that our company made- focused on marketing measurement as opposed to sales performance. There is no click to call from Hubspot and they limit the number of Templates or Sequences you can have and then you have to pay more to receive more. Look hard at Yesware or Salesloft- those are the real leaders in this space. Hubspot's tool is not up to snuff for the reasons mentioned above. Tracking email, Sending multiple emails to prospects- The benefits are similar to that of Yesware, Outreach and Salesloft but watered down and not as seamless. "Excellent Tools That Combine Marketing & Sales"
Hubspot Sales is a great tool for the bottom of the marketing funnel. It combines the functionality of multiple types of software (workflows, chat functionality, automated scheduling) into one easy to use interface. Difficulty syncing with Prosperworks CRM. While the functionality of Hubspot sales/CRM is great for the marketing team, our sales team was adamant about staying with their CRM, Prosperworks. You can sync the two via a thirty party integrator called Pie-Sync, but it's been very difficult to set up, and even more difficult to track attribution. With everything 'Hubspot,' I think the variety of the features can be difficult: it feels like you're never fully utilizing the tool because it can do so much. In order to fully realize it's potential, I'd recommend working with a Hubspot Agency Partner or having someone on your team experienced in Hubspot. You'll get the most out of it if you plan on using Salesforce or the Hubspot CRM. It's been ideal for us to have all these tools under one "roof." By having our automated scheduling, chat functionality, etc in one platform, we ensure that everything works together and can build the most efficient workflows. the sequence and queue feature are the best features for me. As a BDR the ability to know when someone opens your email is amazing. From there you can tell which emails are producing and what emails a=need more work. Support has been very helpful as well. We have not had a "team onboarding" session yet, which I think will be very beneficial in the coming weeks. I dislike that the sequence and queue feature do not work together. If there was a way to keep all task separate or keep the most important task ahead of the others I think it would be awesome. When creating a sequence there should be an opportunity to say, "I want every task from this sequence to go into my "blank" queue". My biggest dislike is that all task is grouped together...to me it is not productive...although I created a task doesn't mean it is as important as my sequence task. Going through the task and filtering the important task from non-important is time-consuming. Its a really good tool mainly because of support. Every CRM is straight forward, I just feel as though we have not yet unlocked all capabilities with Hubspot CRM. The ability to know whether or not emails are open or clicked is golden. Just the ability to stay on task and hit prospects early and often. With the sequence feature, you are able to y=take a prospect through a full cycle and know whether or not they are a fit. "Hubspot's solution to sales tracking. " I liked how each step of the sales process is documented and tracked, leaving no room for error when it comes to knowing how well and project order was doing and how close we where to completing them. The mobile application was very friendly but you lost of some of the features. It would be nice to have all the available features in the mobile version. The sales pipeline made it easy to track projects and sales orders and being able to see the stage that each project was at is very useful. It kept me current when it came to discussing project details with clients because I knew right where I was at. "Keep sales flowing through the funnnel"
HubSpot Sales is robust, easy to set up and comes with plenty of support. We are still on the Free version and barely hit the limits. Only whish that we could set up more templates. Our sales guru hits the limit of 5 and could think of 10 more. But the power lies in the limits isn't it? We are on the Marketing Hub as well and I like the seamless integration between Sales and Marketing. It's a bit of a steep step up to the Professional version. Especially for smaller companies like ours. HubSpot is overhauling their platform with a more modern interface. Which is nice but this means that some features are still outdated and clunky. "Smart Sales CRM for Teams"
I absolutely love the contact view on HubSpot Sales. You can click on a contact and then see every detail of your business' interactions with them. For example, if a potential customer completes a form on your site, a new contact is created in HubSpot Sales and can be viewed by your entire team. This contact record will establish basic information HubSpot can gather: email, name, company, company details, timezone, etc. It will also let you see a "timeline" of the contact from every email sent, every note written by other team members, emails opened, webpages visited, etc. The contact tool is so powerful that that in itself is reason to use HubSpot Sales! Another detail: HubSpot's support team is also exceptional! The cost - that's the only deterrent for potential customers from what I see. Yes, there's a bit of a learning curve, but the overall system is really easy to use. The cost of the professional features of HubSpot Sales can be pricey, but for teams looking to optimize and streamline their Sales/Marketing efforts, HubSpot is probably the way to go. HubSpot Sales is superb if you want your entire sales AND marketing teams on the same page. Generate contacts, understand their needs, and then serve them for them to become evangelists for your business. Our clients utilize HubSpot Sales to take leads generated by HubSpot's Marketing tools and close those leads to customers. Clients are able to visualize their sales process and simplify how they're talking with customers. "Free Sales Software for Businesses of Any Size"
It is free and you can do a lot of things. It integrates with google gmail for businesses and in our company we like this very much. It has an awesome integration with gmail and we have lot's of infos in the sidebar. I've been using HubSpot since 2013 and I have seen lot's of new features. For sure if you will make the switch you are on good hands. I have yet to find any dislikes. I only use the FREE addition of Hubspot so I am unable to comment on all the features and functionalities of Hubspot. Maybe it will be good if we could send e-mails from hubspot servers too instead of using gmail. You can build a database of subscribers very easy. It integrates with Gmail. Keeping customers engaged with content most relevant to them and building a database of subscribers. We are very organized since we use Hubspot. We have a clear tracking about each customer and partner. "Hubspot is not for sales reps"
Marketing now knows when sales is sending emails which is advantageous cause our marketing team is no longer blasting accounts with duplicate messages. This is not a tool built for sales teams. As a tool that should be built to enable sales it takes me away from where I am and should be spending my time. There is no reminders tool for emails that are sent. You can create a task, but that doesn't attach to the email that you have sent it is just a note to yourself that you sent that email. You don't get prompted with your original message as a reminder to follow up if your prospect hasn't gotten back. EMAIL TRACKING IS A JOKE. I've used a couple different email tracking tools and I still say that email tracking is gold for any rep to help prioritize work and focus on accounts most interested in moving forward. The tracking in hubspot is not attached to the email. So now that email I sent that I had to create a separate reminder for I have to go and look in hubspot to see what actually happened. Give me the tracking and reminder right in my inbox with that email that I sent. How hard is it to understand that sales reps don't want another tool that needs another screen to use. Make this work with email that we are already using and you might increase adoption rate of the other features. Sending mass emails is also not great. Something that a tool built by a marketing automation company should be really great at. You can't hyperlink text. This is something I can do in any other email platform. I can make the word "here" whatever link I want it to be. Not with Hubspot. Prepare yourself to send very unpersonalized rookie level emails here. Update here: This is the least valuable tool in my entire tech stack. The build of this is absolutely ridiculous and the product team doesn't seem to want to make this solution better. They have 2 extensions. One for chrome and one for gmail. Neither does what you would hope it does and kill all other valuable extensions from functioning. The chrome extension hosts your notifications for email tracking (tracking is garbage, but we will get to that later). You can't disable the fly-ins without disabling all notifications so because this is tied to the chrome extension and not to the gmail extension you get messages popping up on your screen throughout the day. Not great when you are on a screenshare and your message to someone else shows that it is getting opened. It is all or nothing with these. The extension constantly freezes so you can only see the last 3 notifications. If you want to see what email was opened when you click on the email rather than it opening in the window you are on like a smart tool would do it opens an entirely new tab for gmail which takes a moment this is not hubspots fault that gmail takes a bit to load, just their fault for opening a new tab because they tied their tracking feature to the chrome extension and not to the gmail extension. Tracking is worthless. If you send an email that will take someone less than 10 seconds to read you will never know that it is even opened. They can open and reply to the email without hubspot even acknowledging and pushing a notification through. This is extremely frustrating for sales especially knowing the analytics that hubspot is collecting in their marketing tool. They can see when emails are opened, skimmed, and read.... why would you not give this information to individual contributors??? This is gold and it is completely absent from the platform. If you send a concise email you are never going to know if your contact received this. If this tracking is available and it clearly is. Why would you not build this into the tool. You can create tasks here, but to actually take action on them you still have to go to hubspot, but if you are creating a task to remind you to follow up on an email, you don't get the email connected to this task and your tracking is still in a different spot. Their are other things that can be done with this extension, but why it doesn't have tracking built in where your emails are is beyond me. Why you can't create a reminder tied directly to the email that you are sending blows my mind. The team has given us all sorts of band aids and work around for this, but the point is simple. This tool doesn't do what you want it to do. Sequences: Sending emails is limited and it takes forever with sequences. You are better off sending individual emails through gmail rather than trying to set up a sequence. Map all your fields properly and you will be fine one might think, but that is just not how this tool works. Save yourself time and don't use a this tool that is supposed to be built for sending targeted emails at scale. If it is free it is better than nothing. If you have a budget and care about the success of your sales reps get them an actual email tracking and sales enablement tool. This help marketing and sales know what both teams are doing. This is a severe handicap on sales for this benefit. ""HubSpot Sales best email tracking tool""
Hubspot Sales is super easy to use. Hubspot Sales composes each progression of the business procedure just as record every collaboration with a prospect in a simple and proficient way. We have various integrations with the Sales stage and it's an inconceivably basic resource and apparatus utilized by our entire group. The mobile features needs to be upgraded/updated. In the event that you need to make your life simpler regarding making reports, reaching clients, promoting your line of items HubSpot Sales is the best apparatus I have ever utilized up until now! HubSpot Sales likewise encourages me to be effective in doing reports,creating or achieving every day telephone calls and messages regarding reaching my customers thusly giving me a reasonable review of the business channels. This is a fantastic program that gives basic information in a straightforward manner. "A useful tool, but a pricy solution." I like the integrations with Gmail and the HubSpot templates. it's helpful to know when tracked emails are opened. I'm still dubious about whether or not spam filters block some Tracked emails, especially for fist time prospecting emails. The cost is borderline too expensive. We would expand the use of the system if it weren't so pricey. Sequences ended up being of no use at all because the emails come from a HubSpot server which has been marked as "marketing and promotions" and is picked up by most spam filters. We tested the same language being sent from a person and had a significant difference in response rates. "Does exactly what a small business owner requires with the ability to add more value when required"
My experiences have led me to believe that you should always look after no. 1. By doing this I have always tracked and call logged all communications. Whilst I only use the FREE addition of HubSpot it offers and supports my minimum requirements. It provides logging of all my correspondance with my customers and allows me to track emails to see if my customers are actually opening and reading my emails. I have yet to find any dislikes, however as mentioned I only use the FREE addition of Hubspot so I am unable to comment on all the features and functionalities of Hubspot. The ability to record and track communications is great. Being able to incorporate the software in to my Gmail account makes for ease of use. I also like the fact that it integrates with your mobile apps allowing for a quick import to replenish your contact details. I started using Hubspot in September 2016. We have been really happy with it to set tasks so that we can focus on what we need to do at the time instead of trying to remember so many items during a day. Being able to check our pipeline and see what other people on the team are up to is great, a customer can call in and anyone can help by looking at the contact and viewing the history in seconds. Very happy with the software and love the Hubspot Academy videos too. I find it difficult to resolve problems when they happen, today my email was not syncing and I had to check chrome all over and though it was linked it was not showing up. I would like to be able to see my tasks more clearly like I do with my deals or they can be forgotten along the way. Having the Chrome Plugin has been great for capturing my contacts email addresses so that I can easily update my Mailing list for Marketing emails. Using the Deals Pipeline has helped us stay in touch with customers and close deals that we may have sometimes forgotten about in the past. It's got a pretty easy interface and it's fairly easy to integrate through things like Zapier. I like that it tracks open emails. It integrates with gmail pretty well - and you can do that with a personal gmail account. You don't need to use Google Apps. The reporting on the free product isn't good. I think this is their intent. You can do only so much with it without purchasing the paid version. Running reports based on specific criteria should be a staple of any CRM. That is THE reason you use a CRM. If you are sending an email that is being tracked, make sure you are only sending it to one person. If you send to more than one recipient anyone that opens it will give you an indication - but you won't know who. I'd like it to be able to associate contacts, deals, and companies a bit easier. When you create followups it often leaves one of these out and it has to be added after the fact which is just a little bit annoying. If you are going to use the free product, make sure that you really don't need the other features and/or that you are able to integrate the products you will be using to fill the gaps with HubSpot. Helps me keep track of deals and contacts. It also helps me log all of my activities with prospects/opportunities. "Tools that support a sales and marketing alignment "
The tools cut down on the workload of a sles rep - reduces data entry and allows for deeper sales/marketing alignment as it allows marketing to provide pre-made libraries of emails, presentations and more. It allows marketing to track what sales tools (emails, slide decks, etc) are most successful with hard data - FINALLY!!!!! Sales adoption was a little tough - it's a different type of CRM than traditional sales is used to so there has to be a lot of upper management and lead sales buy in to roll it out. Spend the time on training and getting the team to buy-in - this went a long way in getting people onboard. "Great experience. Highly Recommend this awesome tool for smart sales and marketers!" I like everything about it as it is constantly improving and makes real-time knowledge a great tool for sales efficiency. If you have any question, I frankly believe HubSpot has the largest resources of knowledge of any technology company I have worked with in my 30-year history. Just google search the question and add HubSpot and you got what you need. Nothing as of yet. I know it's weird to find something we can like all of. But it really is easy to use and because of its integration with HubSpot marketing which we also use it really makes things work well and efficiently. Try it. It's free and you can upgrade to Pro if you use HubSpot and that unlocks a lot of other great features. Linking to sales and marketing efforts with tech tools that are logical and easy to use. Saves me so much time and our team in being fast and on point with our targeting efforts. Timing is everything and knowledge is power this tool helps with both. "A very complete platform for marketing"
"We Missed Out On So Much Money Being Cheap"
Updates. HubSpot reminds me so much of the Google applications. Not just in its ease of use but the consistent updates. One day I think, "you know what? HubSpot should add this'. The next week, it's added. It's almost like you all are reading my mind. The appointment feature could be more customizable. We're having issue evenly distributing new leads to our sales reps. I'd also love to send emails to specific groups at once rather than emailing each individually. Lastly, I'd like to see an an option added that tracks the number of consecutive missed call/left a voicemail. This would help us identify who is wasting our time while in the PHONE ZONE. This is well worth the investment. HubSpot seems to be committed to growth & development. If you and your company are also operating with this mindset, why not partner with HubSpot to deliver excellent service. MANY. Scheduling appointments, tracking follow up tasks/notes. The email tracking has even increased our conversion rate. Again, MANY. Our number of closed clients has doubled while the headaches have almost disappeared. The money is in the follow up. Being able to hold clients and employees accountable have increased our level of service. Every action or non-action is not recorded. "Good product but getting worse"
Heavy user of email sequences. They increase productivity and enable you to follow up with prospects on a timely manner. Deal and task tracking and assignment is also good. So are the dashboards. The version that was available almost 2 years ago was a lot better then the current one. Each upgrade has introduced unnecessary clicks to perform a function. Why does one have to click a selection box that has only one item to choose from? Click Actions to select Edit when there is ONLY edit to select? Really? The last 1.5 years of upgrades have increased the number of mouse clicks by at least 40% and they are completely unnecessary clicks. For a daily and heavy user this is very annoying and completely unacceptable. Also - slowly the service is becoming a billboard trying to sell you more services. Reminds me of Intuit and QuickBooks. Selling is OK. I sell for a living but please don't clutter my pages with things I don't need. Also, please don't pop up "Did you know how to?" boxes EVERY SINGLE TIME and give me no option to disable and all I have to do is use my mouse more EVERY TIME as if I', playing minesweeper! I am not dumb. I get it when prompted once! That's enough. Read my review and judge for yourself. Hubspot is good until something better comes along. Following up with sales prospects and managing tasks across team members. "It's nice to know what was previously unknown"
I like knowing when clients open my emails, especially when they either continuously open a message that was recently sent, or when an older email beings to get opened again. Either way, I'm clearly on their mind at that time for some reason or another. I'm always worried that my emails are getting caught by spam filters. I have confirmed this has been the case from time to time, but there's no way to know it up front. I've also had numerous technical issues with the service to the point that my corporate IT department is no longer supporting. I'm just hoping they change their policy on that in the near future. Unless your company is providing it to you directly, it's unlikely that HubSpot's customer service will truly do anything to support your needs. They are only willing to work directly with subscribers, but when IT issues arise, Corporate IT departments need to be involved. Unfortunately, in my experience, HubSpot is unwilling to work with my Corporate IT department. I started using HubSpot back when it was still called Signals, and I only use it for the one feature that got them started. I subscribed for $10 per month, and I'm grandfathered in. I've heard their pricing has jumped significantly since they've added so many additional features into their service, however, since my company provides access to other tools like Salesforce.com, I would be unwilling to spend any more than $10 for this email tracking feature. I only use it as a signal for when people are receiving/opening my emails. "Fantastic tool for Real Estate sales"
I can track a potential buyers interest in a property by viewing the number of times they open an email I've sent containing a brochure or contract or other information. It is also helpful when dealing with other professionals involved in the sales process who we are reliant on achieving a timely sale. When I send emails to multiple people i cannot see who has opened - only that someone has opened the email. I am able to see in real time when someone is signalling interest in a property (by viewing information previously provided via email) and can follow up immediately with another point of contact. I can also see when a broker or solicitor has (or has not) opened an email and I can hold them to account when needed. Being able to contact colleagues when they have opened an email so we can discuss the contents is very helpful - especially when we can be 500km apart as well as in and out of phone service. Notifications when an e-mail is being opened by one of my prospects. Google Chrome and Outlook plugin allows for pop-up notifications. BCC function tracks new email prospects and adds them to CRM. Dashboard is adjustable, I can search contacts in a variety of ways. The IN-ability to mass email prospects with my templates. My verticals are pretty set and my template emails are dialed in, but having to send that same email to over 400 prospects per vertical is a complete waste of time. I was also told that if I paid the $50/month I would be able to do that, but that was lie, and for what I could see, the only thing I get that is worth anything by paying is the unlimited templates, but that is not worth $50/month alone if I cannot mass email those templates. Not notified when MAJOR changes happen to SaaS solution. My email was kicked off and I had to reintegrate everything through my gmail account, when I did not have to do that before was a real pain. Better pipeline productivity reporting and tracking. I like that Hubspot has so many resources available. Aside from that, training is available so I best learn to utilize the systems. As soon as establish myself and my business model is brining in sufficient income, I plan to take advantage of the integrations available as well. At this point, nothing. I would, however, would like a bit more access to some items, such as more templates, before I pay for the service. The marketing section is a bit confusing at this point but I'm sure there will be more training available. If not, I'm sure I can find it online. Just jump in. Training should be available and the systems are relatively intuitive. Hubspot sales has helped me with staying on top of my pipeline and organizing my day to day workflow. I can now prioritize my day better and stay efficient. "HubSpot Sales is for Sales Superstars!" Small and Medium-sized business that are doing many functions manually or with a free version of other software will find quite a few features that will help take their sales functions to the next level. Even larger companies with several employees will find the ability to define user functions and segment business opportunities extremely helpful. Some features I like the best are: Customizable Templates, Detailed and fully customizable reporting and Streamlined funnel flows. Full integration with the Marketing, Sales and CRM platforms makes it a win overall for any business. For the most part the system is wonderful. There are a few things that would make it even better. Things like even further customization of the sales funnels with ease to tie everything back to a specific persona. Sometimes, contact views can get a little complicated, maybe a way to segment the view by a user group would help simplify and would be nice. Also a way to create "suggested views" that a user can choose from created by an admin to help new users get setup would reduce some initial friction and down-time for users when they first are starting to utilize the HubSpot Sales system. But mostly those are nice-to-haves, the system itself works just great. It is worth trying out, and if you utilize any of HubSpot's other systems, it is fully integrated from the get-go and setup is a breeze. HubSpot Sales is a key ingredient in the company's success by helping to create a streamlined process. 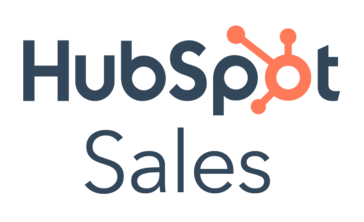 Whether it is giving the team the tools they need to be able to close new business or the resources to continually up sell to current clients HubSpot Sales is an integral part of my company's full growth stack. I couldn't imagine doing business in sales or marketing, or in any way without the use of all of HubSpot's tools. From the Sales System to the Marketing Platform and even including the integrated CRM, it is a trifecta of awesomeness that no business should be without. "Wonderful desktop user experience - eagerly awaiting the same for Android devices"
HubSpot is intuitive and spot on. The training costs were quite minimal. The Dashboards rock ! The UI / UX is exceptional. For the sales team, mobile enabled apps are key. The Android version lacks many of the features and has been in the making for quite some time now. The ability to restrict data access across different teams should be improved. We are unable to onboard some team members as the access restrictions are based on owners. Access restrictions based on other dimensions (Group of deals, pipeline, product category) will be make the platform a killer. 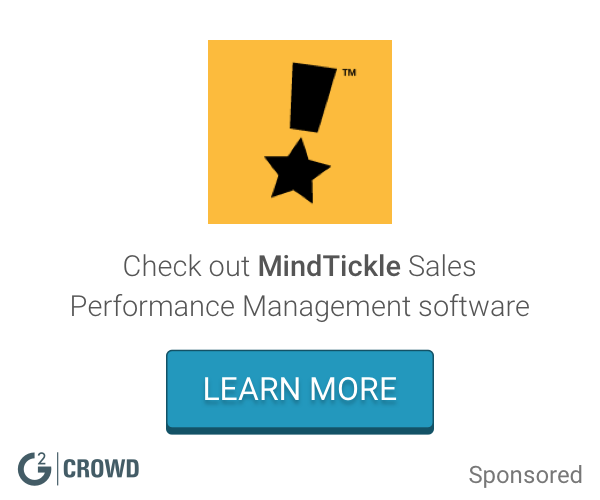 An excellent platform for sales teams. HubSpot team has managed to continuously improve the platform and add quite a number of features within the last 6 months. We dont have any hesitation recommending this platform to people who are evaluating the system. We have been using the platform across the sales organization for over 6 months now. 1. 360 degree view of sales - from the deal level all the way to activity level. Better planning and better reviews. 2. There is full visibility to the engineering teams on the sales pipeline and velocity / momentum. Helps in better resource planning. Better traction on deals. Reduced effort in reporting and better use of the available data for decision making. "Hubspot for Sales and its ease of use"
1. Some of the default properties doesn't make sense to our business. So we would like to remove them. But that is not possible. 2. Another thing is, in the board view, we would like to display the key properties we want to have. Today the name and the close date is something which is fixed. No handle is given to change those parameters. 3. Default dashboard shows the deal size in terms of the deal value. But our business has a different numbers for our sales. Deal size could be some number but we get only a % of it. We would like to see that number as revenue. 4. Mail tracking throws up multiple alerts based on the different subjects in the mail chain. Expectation is to show only one alert. The latest subject should be considered. We are using Hubspot sales to manage our Leads and the different pipelines. We were productive from day 1. No formal training was needed. I could set up almost everything at ease. The app is also so easy which will help us to track the sales and all. 2. Email tracking is made easy. 3. Scheduling the follow ups, tasks and all are very easy. Can be better. "Hubspot is an excellent and intuitive CRM sales tool!" One of the most useful features for our company has been the "Prospects" sales tool that allows us to see what companies have been visiting our website. The Reporting add-on has been excellent is helping us understand conversions and timeline planning. There isn't much to complain about! If I had to come up with something, I would like to see the ability to customize or color cards (like in Trello) on the Deals board or pipeline. However, there is a way to filter by creating custom deal fields, so this is basically an alternate way to achieve the same result! We have solved a number of business problems with HubSpot Sales. As a start-up we were able to utilize the free CRM tool while we were getting off the ground and managing costs. We quickly evolved from using spreadsheets to having our sales information in an easy-to-use, aesthetically appealing environment with HubSpot. We have benefitted from the tracking functionality that allows you to see if/when prospects have opened your emails. The reporting has also given us a great feel for our pipeline and where there might be pain points in our sales process. "Enables our team to work smarter"
The connection between marketing and sales tool allows a more seamless relationship with marketing. This helps our sales team work smarter. The marketing tools lead to more automated lead nurturing when needed, more qualified leads, and hand-offs to sales that have more information. There are a LOT of tools available, but sometimes they don't all work perfectly or fit together. For example, they introduced task queues, but that feature isn't connected to workflows, which would make the new feature really helpful. - Managing our pipeline is effortless and integrated. "Helped me reach 100% close rate in first 60 days"
Once you go through the training process, inputting your information and seeing how your contacts interact with your website is incredibly valuable. And when you need to make a sale and make it quickly, Hubspot Sales helps you narrow down the highest value targets you should be focusing on. The cost of the marketing portion of Hubspot. Would be so fantastic if there was a more affordable plan to integrate what I'm doing on the marketing side of things and how it correlates to earning revenue. Also, it would be great if I could integrate my accounting software or business expenses right into Hubspot to see my true revenue each month and what I need to hit in the coming months. And while I'm making requests, would be great if Hubspot could also integrate with other project management tools like daPulse. Then my entire sales --> marketing --> client projects --> business goals can be visualized and automated as much as possible. I've recently started my own media company and working more than I ever thought I would. But I absolutely love it and Hubspot helps me keep better track of my customers so I'm working smarter, not harder. "I Did What Exactly Before Hubspot Sales?" Definitely the email tracking and link opening features are my favorite. I shared this with a client or literally referred to as a "drug". He said it is incredibly addicting. I agree! I have racked my brain attempting something I do not like about Hubspot and the truth is...nothing. There is nothing. No Thing. Get this and put your business on a course of success. I never have to guess whether or not someone has received my email. In business, this is paramount for optimizing my time and performance as well as my clients. My days are more productive because I am not checking emails and spam to see if their response is back yet and wondering. I also know when to properly respond. Example: If I have delivered an email with a proposal attached and the prospective client has just opened up the email, I can give them the time to digest the materials. "Simple yet Powerful Sales CRM"
For a free edition the ability to easily keep up with my accounts and contacts, and define a simple sales process to track deals is awesome. I love the built in email tracking capability and the power to do basic email marketing an individual sales guy needs to do. the ToDo functionality is simple and powerful. Much better that what I have seen in other CRMs. I wish there was a search for a new contact when viewing an existing one. It seems that you have to go back to the list. To be really picky, I wish there was an auto format for phone numbers so that you did not have to always be formatting them for consistency. Give the free version a try for your sales team. Be sure to set up a couple of templates for prospecting so they use the built in email capabilities. I have been able to organize my sales activities in one place and share it with others who want to understand how things in the territory are progressing. In addition, it makes it easy for me to manage my daily tasks with the ToDo capability. "Hubspot Sales - Pretty Spot On for Sales Needs"
I like that there are templates and deal tabs from the drop down. I also think the new interface with deals and tasks - documents and meetings has been a large help to sort through the potential sales bottleneck clutter. Sometimes it is hard to work around built in features. I do think that showing items that are locked can be frustrating as you have to up-sell to decision maker to use other tools. I get it but still a bit disappointing. It has made a lot of changes since last year and I think the interface and easier integration and non daily use eases have been a tremendous help for people that have not checked them out recently. "Sales Pro - The Salesperson's Secret Weapon"
How powerful would it be to know when your prospects have viewed a particular page of your website, or better yet opened that email where you shared literature or a proposal? Well with Sales Pro you can get into the mind of your prospects and see what they are looking at. Imagine, picking up the phone and calling your prospect at the exact moment he has opened your email with a proposal. You are contacting him when he is thinking about you. Imagine knowing when he/she has shared the information with a colleague. Imagine no more with Sales Pro it is possible! The record a call feature has its limitations. When you are placing a call to a state where it requires mutual consent the feature will not work. This is one of those sales tools that once you have tried it, you cannot imagine every doing without. It gives you a competitive advantage. It allows a business to know which clients are truly interested in the email you sent. I have found our sales has increased dramatically just by knowing when to call a client. There is no better time to reach out to someone than when they are thinking about your offer. When I see that a prospect has opened that special email, I "just" happen to call them and see if they have any questions. I am often greeted with, "You won't believe it, I was just looking a your proposal". I love the task feature - just allows me to put my head down and get things done. Other than the e-mail signature not looking that great. I honestly don't have any other complaints, everything I've struggled with thus far has been user error. Not Hubspot's fault I didn't upload my contacts by city and state.. sigh. They are constantly improving an already awesome platform. I personally couldnt be happier with hubspot. I initially thought that it was great until we could afford to move on, but it's not something we will grow out of at all. I'm logging things at a much more efficient rate, when I make a call, I do it from the contact page and I don't have to worry about going back and re-logging it. When I send an e-mail it is done right though the site. "Very good for Hubspot integration and Monitoring but some elements could be better"
The dialing feature is great in the way it enables you to make notes directly into Hubspot and transfer these notes automatically to SF or any other CRM. The email addon is great for gmail as it allows you to monitor open rates and responses and the attachment feature is fantastic for sending presentations as you can monitor what pages have been viewed and for how long. Difficult to setup a calling or messaging schedule or mass messaging without integrating the marketing features of Hubspot as well. If you are solely using Hubspot as your entire CRM then Hubspot Sales is fantastic to have for overall monitoring between marketing and sales teams but there are better Sales automation software that may be a better fit. Hubspot Sales allowed us to easily monitor the activity of business development reps and allows them to keep track of any calls or emails they have sent from one place. Thank you for taking the time to write this detailed review of our product - we really appreciate your feedback! I'm glad to hear that you have enjoyed the calling and emailing features of HubSpot so far! A far as room for improvement - have you considered using the Marketing suite of HubSpot or does this not fit your needs? "I use Hubspot for email tracking...and it's great!" The email tracking or Sidekick feature is what I use exclusively and I use it through both MS Outlook and my personal GMail account. Not much other than sometimes the information I receive is not specific, such as "Someone" in "XYZ, State" viewed your email. In other words, you don't "always" get a name. It is an excellent tool for sales people, marketing or even recruiters to help them understand who is viewing their emails and marketing efforts. Email marketing and sales. I have found understand when someone opens my emails, clicks my links or downloads my attachment. It let's me know this lead may be interested and worth additional time and effort to reach out to him or her. It was so easy to get started with HubSpot. I was up and running within minutes, and after a few days was able to easily customize my views with filters. That I have to click 'Save' when I make a change to a record. I'm not sure how it scales, but for a small business it's an incredible tool. I've been able to manage my business easily and access my information from anywhere. It's also a great interface to work with. The design and flow is simple and intuitive, and nice to look at. I am tracking all of my opportunities and sales through HubSpot. I've kept organized and have full visibility into my status with all of the proposals I've sent out. It also is a great way for me to remember who to follow-up with and when. * We monitor all HubSpot Sales reviews to prevent fraudulent reviews and keep review quality high. We do not post reviews by company employees or direct competitors. Validated reviews require the user to submit a screenshot of the product containing their user ID, in order to verify a user is an actual user of the product. Hi there! Are you looking to implement a solution like HubSpot Sales?